Resides on the Big Island, Kona, loves to SUP, diving, and fishing. Former fashion model now a Team Rider for Focus Surfboards, Honeygirl Waterwear, GoPro Cameras and sutralifestyles.com. Also a Boat Captain, NAUI Technical Instructor & PADI IDC Staff Instructor. 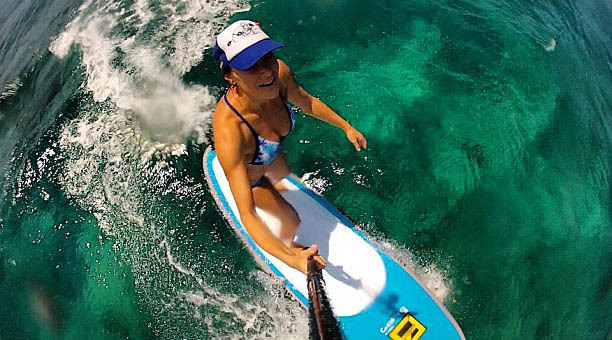 Contact Julie for surf lessons , Standup paddle lessons or Focus Standup Paddle Board demos if you are in Kona! !